The Germantown Municipal School District's Technology Department provides innovative tools and practices that support the learning environment for students, parents and teachers. Therefore, one of our department's main objectives is to support a classroom culture of 21st teaching strategies in grades K-12. This is supported by the adoption of a blended learning model of teaching in a 1to1 classroom environment. GMSD has embraced this model and is fully 1to1 with Apple devices in grades 6-12. Blends technology-enhanced learning with face-to-face teaching to tailor instruction to the needs of the lesson and the student. Increased student control over the time, place, path, and/or pace of his or her learning. Why has GMSD adopted a Blended Learning model? 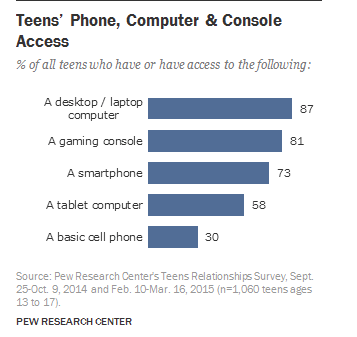 Research shows that students are using technology in their everyday lives. They will be more engaged learners using devices they use every day. A blended learning environment prepares students for college and the workforce. School districts across the country that have implemented 1:1 programs have found improved student achievement, increased student attendance, decreased student discipline issues, increased student engagement, and increased student attendance. Is there a cost to students? Yes, there is a nominal technology maintenance fee for each student. It is non-refundable and will be collected at the beginning of each year prior to the distribution of devices. If under financial hardship, the school district will help make special accommodations for our free and reduced lunch students. Are there policies and procedures in place? Yes. Please refer to the Germantown Municipal School District's Blended Learning Procedure Manual (linked above) and the GMSD Student Handbook for more information on our policies and procedures.